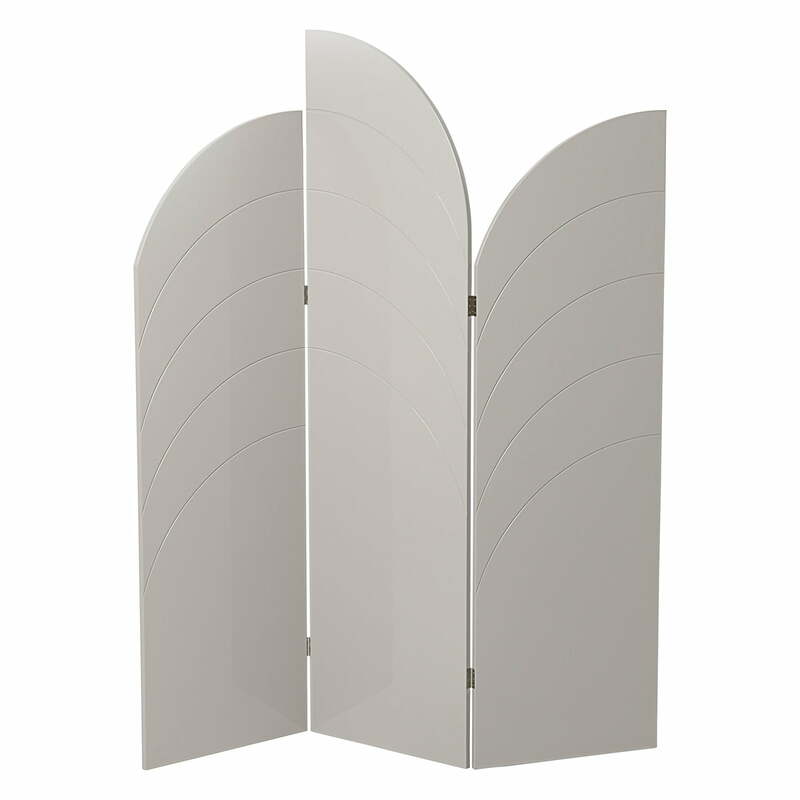 The three-piece Unfold room divider by the Danish manufacturer ferm Living elegantly fits into to any interior. 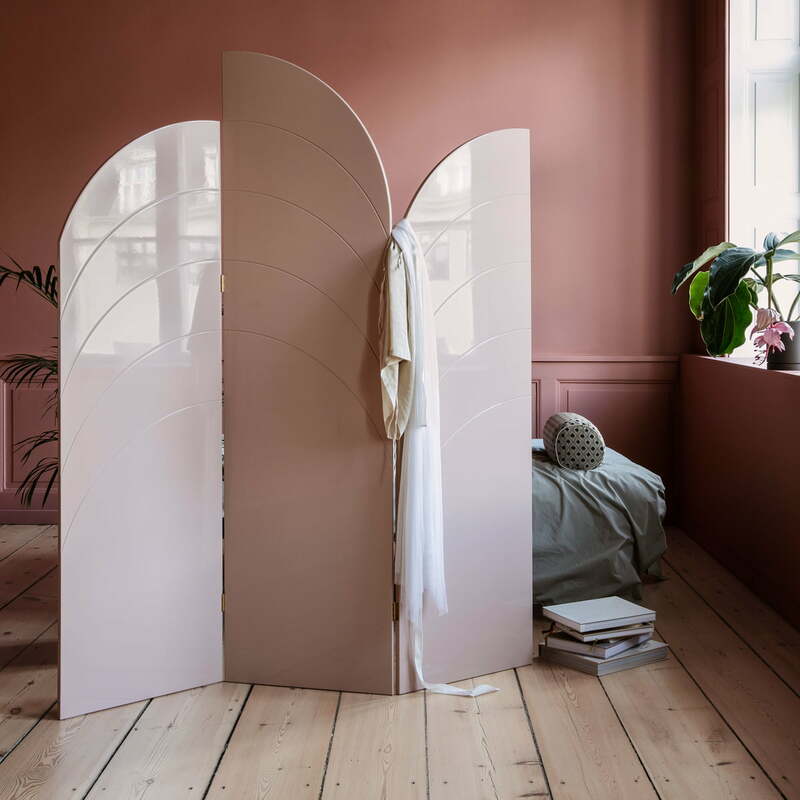 The three-piece Unfold room divider by the Danish manufacturer ferm Living impresses with its organic silhouette and practical design solution to divide the living space into several areas and create more intimacy. The room divider made of lacquered MDF is available in several colours and has a high-gloss finish that ensures an elegant appearance. 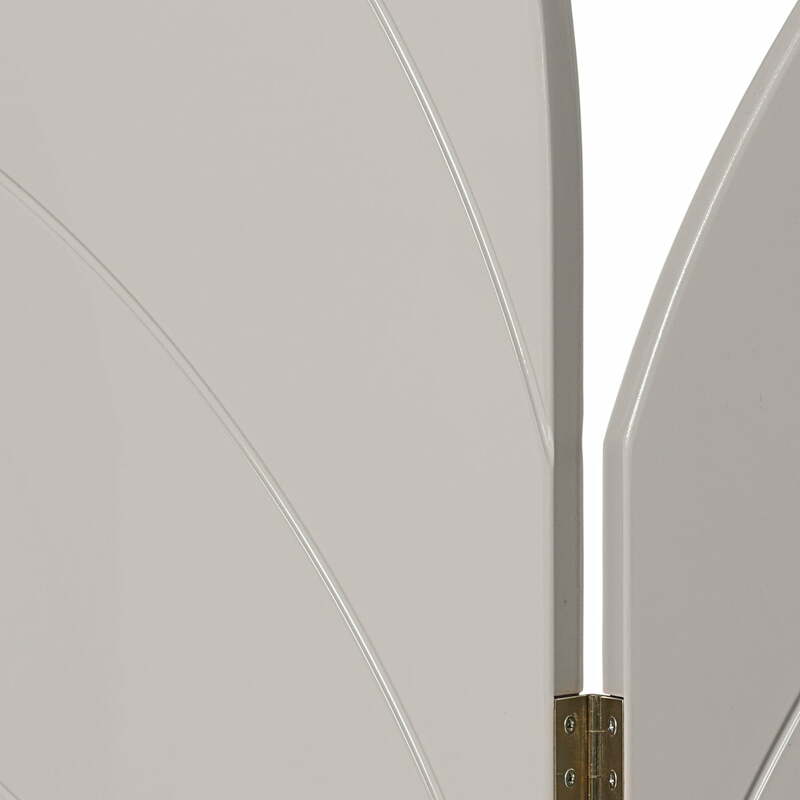 The curved recesses underline the nature inspired design. Front product view of the room divider Unfold by ferm living in grey. The room divider is 180 cm tall and 150 cm wide and is made of glossy lacquered MDF. 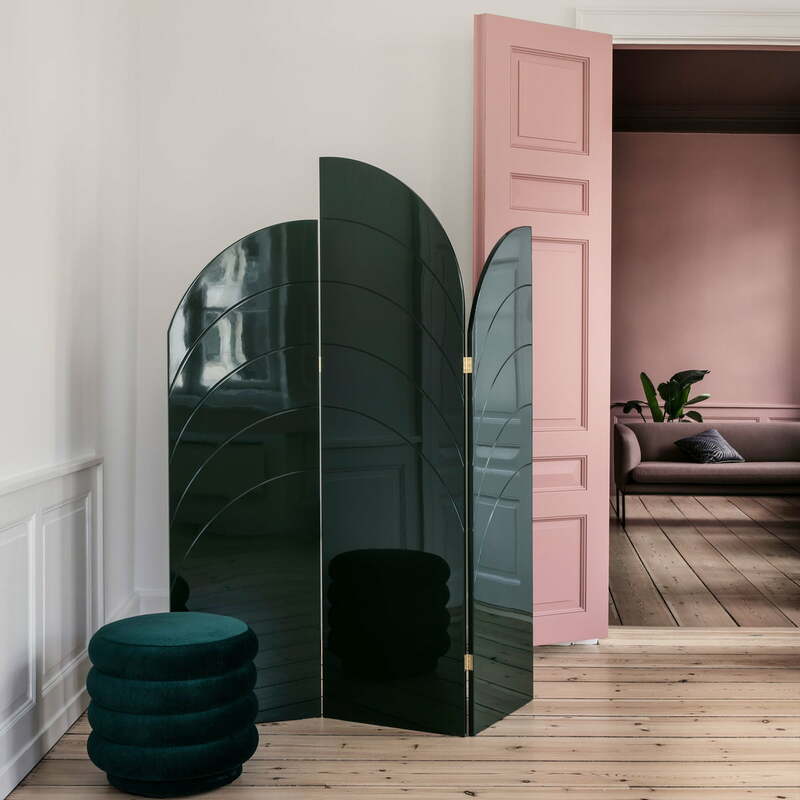 The three-piece Unfold room divider by the Danish manufacturer ferm living has curved cut-outs and a high-gloss surface, which creates an elegant look. The Unfold room divider by the Danish manufacturer ferm Living is a practical design solution to divide the living space into several areas and to create more intimacy. The design for the Unfold room divider by ferm Living comes from Trine Andersen. The room divider is a true eye-catcher as a purely decorative element.